Read reports from our national colleagues about how the smallest state in the union compares when it comes to the economic health of the state and its residents. 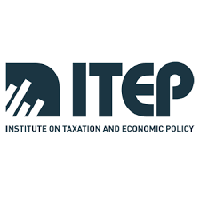 A new study recently released by the Institute on Taxation and Economic Policy (ITEP) and The Economic Progress Institute finds that the lowest-income Rhode Islanders pay 53 percent more in taxes as a percent of their income compared to the state’s wealthiest residents. The study, Who Pays? A Distributional Analysis of the Tax Systems in All 50 States, analyzes tax systems in all 50 states. The analysis evaluates all major state and local taxes, including personal and corporate income taxes, property taxes, sales and other excise taxes. While the top 1 percent of Rhode Islanders (earning over $467,700 a year) pay 7.9 percent of their income in total taxes, the lowest income Rhode Islander, those earning less than $21,700 a year, pay over 12 percent of their income in taxes. Rhode Island’s tax system is regarded as regressive because the lower one’s income, the higher one’s effective tax rate. Bills submitted in the 2018 legislative session (H-7886 and S-2389) would have improved the progressivity of the personal income tax by creating three new tax brackets for higher income earners. ITEP produced a two-page factsheet which summarizes the report’s findings for Rhode Island. The 2018 Prosperity Now Scorecard found that unemployment in Rhode Island is at its lowest rate in more than a decade, and average annual pay for workers increased slightly in the last year. Despite these gains, however, income inequality remains a significant problem for the state; the richest 20% of households now earn 5.3 times more than the poorest 20%, a disparity larger than that of most other states.